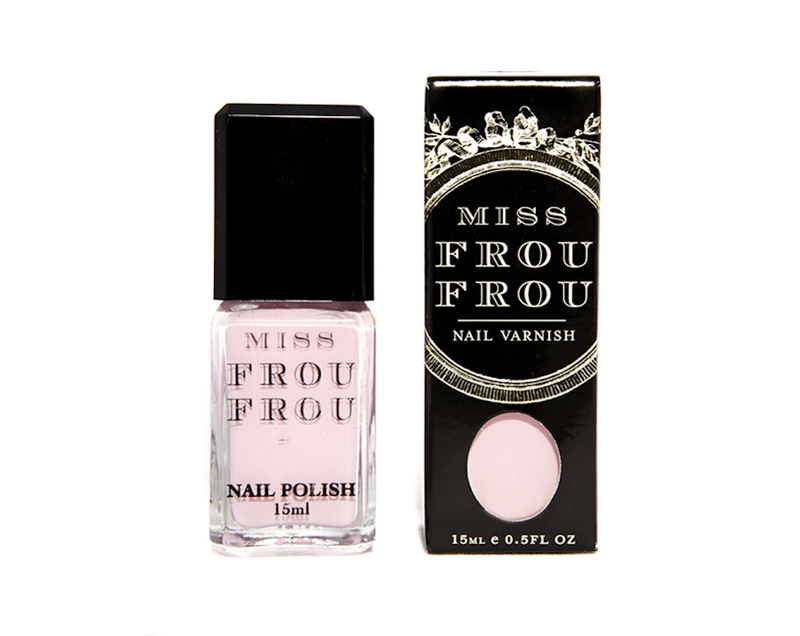 Miss Frou Frou Nail Varnish in "Sorbet"
Australia’s Miss Frou Frou is synonymous with the ultimate in beauty indulgence. Miss Frou Frou is a fashion forward and cutting edge nail polish range with over 60 show-stopping colours from classic nudes, moody autumnal hues, and flirty pastels to scorching neon’s. Miss Frou Frou polishes are designed to be worn as an extension of the wearer’s personality for the directional & discerning woman who knows that it’s the details that matter. The wardrobe of colours are 3 free (free from DBP, Camphor and Formaldehyde), glide on seamlessly and wear beautifully allowing you to express your mood and complete your look from top to toe. It’s densely pigmented colours and high–performance formula delivers an even coverage and shine that defies fading, chipping and Friday night fun. These creamy and colour rich formulas are tried and tested by the Miss Frou Frou beauty team and is a staple in some of Australia’s leading Make-up artists kits. Miss Frou Frou Nail polishes are seen regularly on the covers and editorially in Vogue, Harpers Bazaar & Vanity Fair magazine. They have subsequently landed on the fingers and toes of clientele and celebrities – including Cate Blanchette, Nicole Kidman, Toni Collette Naomi Watts, Naomi Campbell, Miranda Kerr, Kylie Minogue, Danni Minogue and Mary-Kate Olsen – in double time. "Miss Frou Frou's Sorbet is a rich & creamy pink good enough to eat."